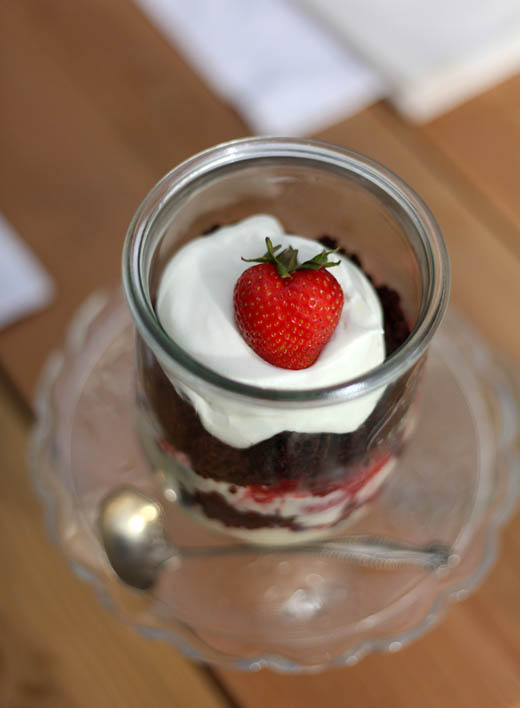 I just created this simple cake for the Cooking Channel blog, Devour. 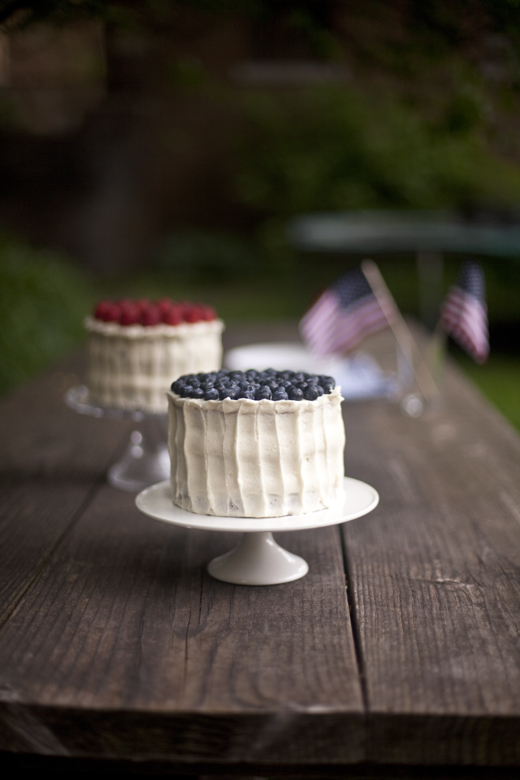 It has layers of white cake, brown butter icing and fresh berries. Check out the recipe. 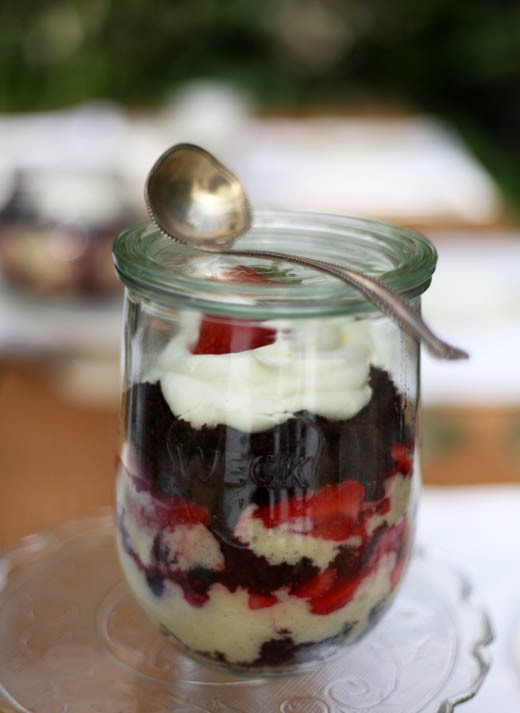 The trifle acts as the perfect vehicle for cleaning out your refrigerator/freezer of all those tasty little treats you just had to hang on to. I am guilty of an overstuffed freezer. It must be my pastry chef days of NO waste, ever. It is something I am both proud of and annoyed by, because it means I have dozens, or more, of incredibly well wrapped packages of buttercream, truffles, cake, cookie dough, puff pastry and just about everything else you could ever want. BUT, there really isn’t enough of any one thing to make a full dessert, except trifle. Add some of the frozen berries from last summer, a touch of sherry and rich pastry cream to those too-good-to-throw-out cake scraps and you have a gorgeous dessert and less stuff in your freezer. Not sure why this essential dessert is named trifle, when it is clearly nothing shy of brilliant. This all came about because I am trying to eat down my refrigerator before we leave for our trip. Next week I take off for Istanbul, Greece and Italy and the contents of my refrigerator will be much less charming when I return in a month. Some things will be left for the house-sitter, but the random packages in the freezer are something I’d rather they read about on my blog than see in real life. While making this trifle, with a mind of not wasting anything at all, I discovered that I could use the left over egg whites to lighten up my pastry cream, instead of the customary whip cream, which doesn’t really “lighten up” anything. Since the pastry cream uses mostly egg yolks I had the whites just sitting around. Whipped up and folded in, they make the most exquisite textured custard I’ve ever had. 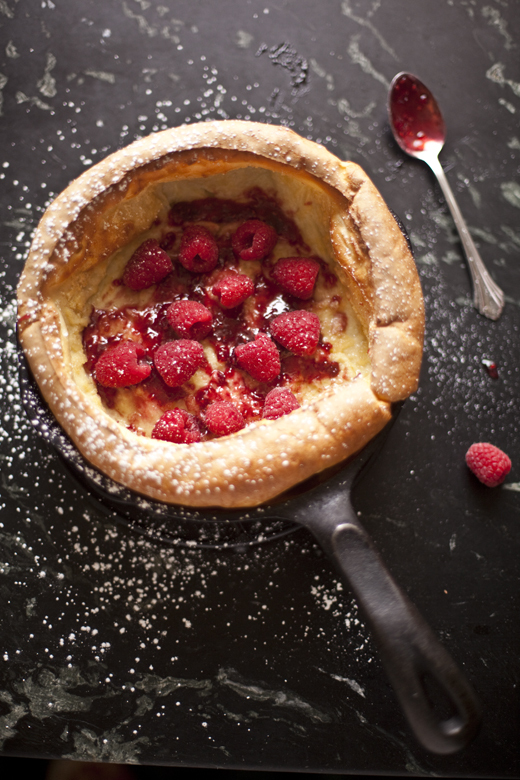 This pastry cream recipe is destined for eclairs when I return! Happy Birthday Charlie! You are the best sous chef a mom could ever ask for!